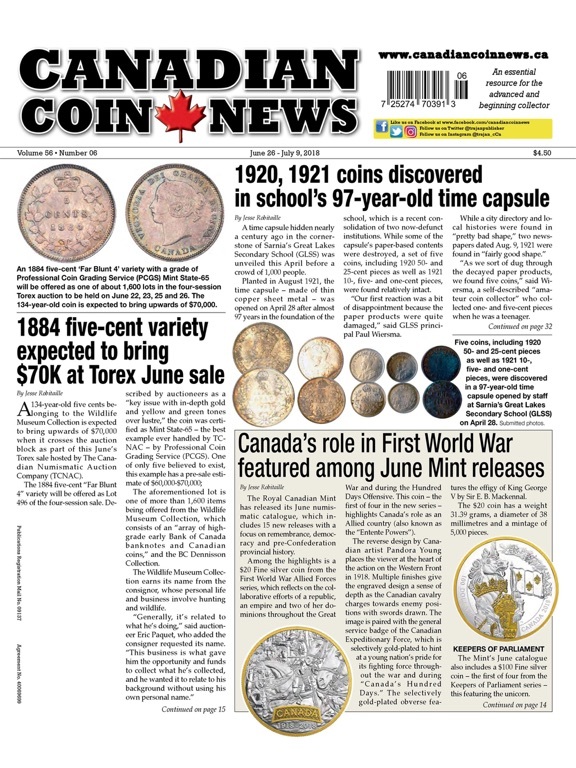 Canadian Coin News is the essential resource for both the advanced and beginning collector of Canadian coins, paper money, tokens, medallions and precious metals. 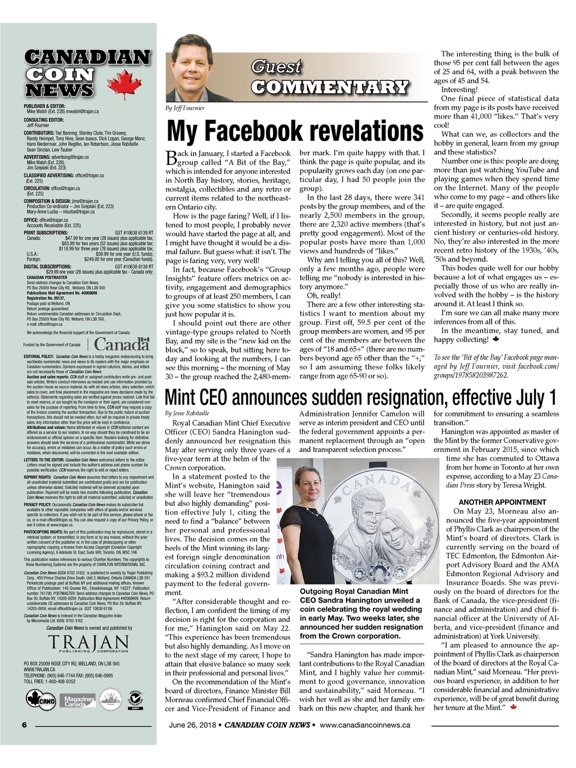 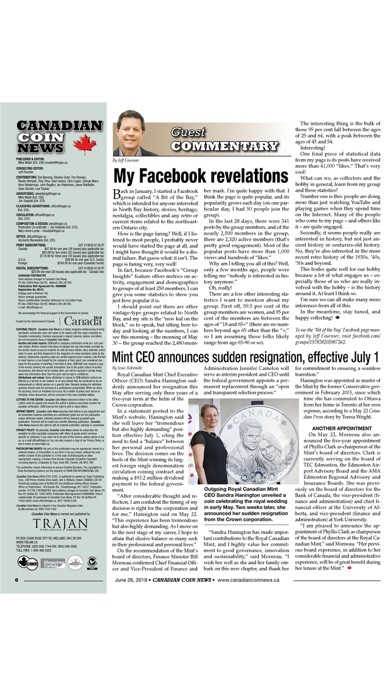 Publishing since 1963, Canadian Coin News is Canada’s only news magazine devoted to the numismatic community. 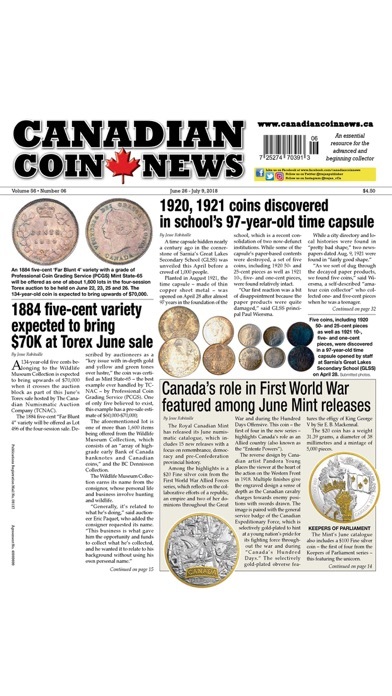 Published 26 times annually, Coin News features expert columnists from across Canada and North America who write authoritatively on numerous important and entertaining topics for the collector, including grading, history, errors, changing trends , new releases, news on auctions and shows and reports from clubs and organizations representing collectors across Canada and the U.S. 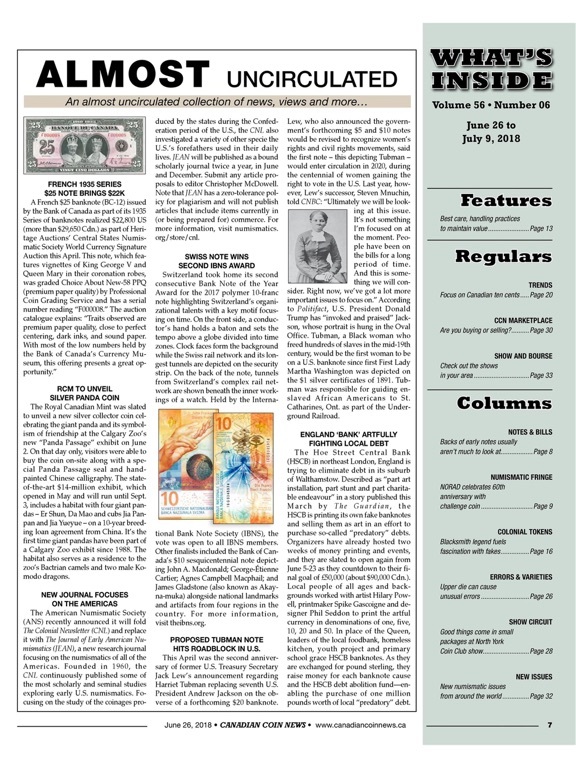 The news magazine is filled with pictures, artwork and illustrations of Canadian coins, tokens, paper money as well as providing updates on trends and new releases in other numismatic communities such as the United States. 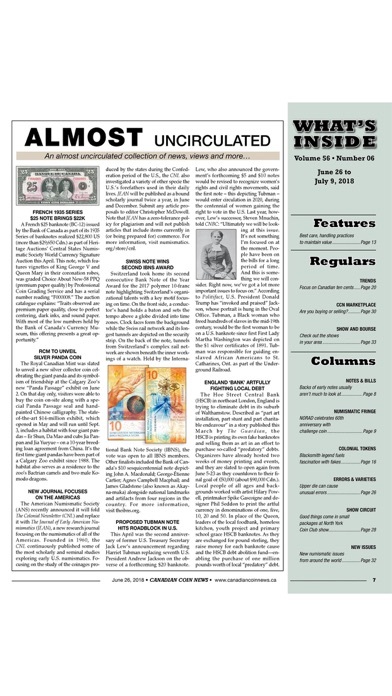 A popular section of each issue is the ‘Trends’ pages which is an estimate of retail values of coins, paper money and new coin issues based on dealer sales, wholesale prices, auction results and precious metals.